Yealink, a professional designer and manufacturer of IP Phone and IP Video Phone, is going to upgrade user experience on video communication with the launch of its latest business IP video phone, VP530. As a latest innovation of Yealink video phone portfolio, VP530 comes with superb user-friendly features and lifelike video communication experience. The response of VP530 touch screen has been accelerated 3~4 times faster compared with VP-2009P. Whether you want to utilize the phone or switch between different interfaces, users can now enjoy lightning speed. 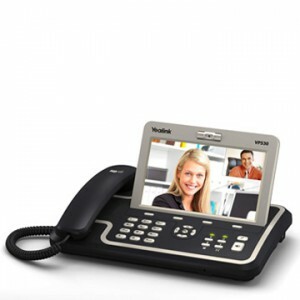 By ensuring a faster speed, VP530 provides a more satisfactory user experience and enhances personal productivity. VP530 has adopted new audio solution and made a series of improvement to the audio quality including enhancement of the bandwidth and a new HD sound box. The voice quality of VP530 exceeds all former video phone versions and is closer to the level of Yealink flagship, the T28. The enhanced audio quality enables high-definition and face-to-face collaboration regardless of distance, therefore reducing travel and communication expenses. New applications and solution for video devices including Door Phone and IP Camera to provide value-added services to business.